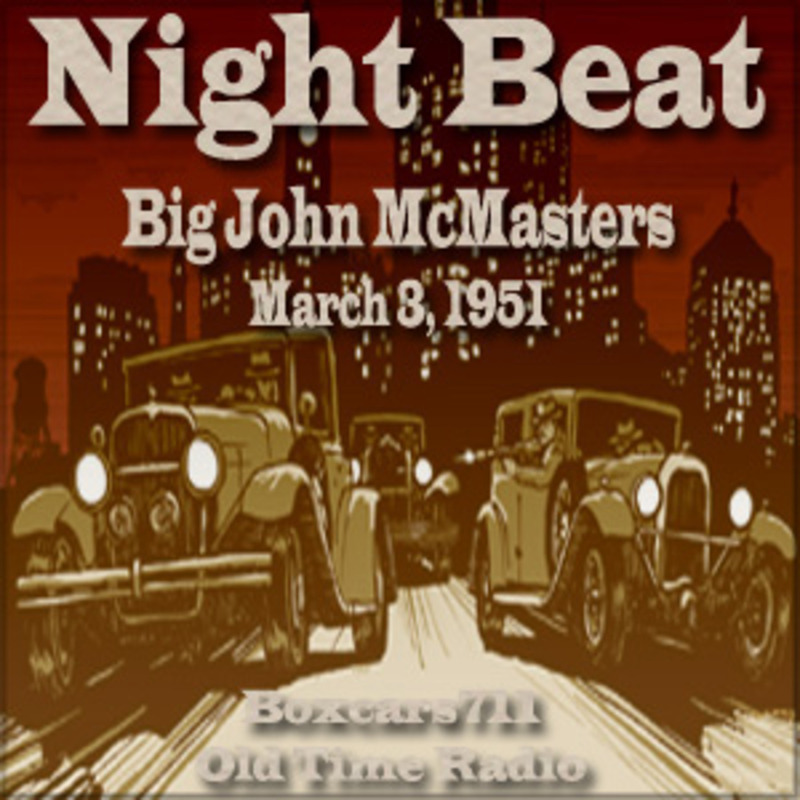 Broadcast on NBC, Nightbeat ran from 1949 to 1952 and starred Frank Lovejoy as Randy Stone, a tough and streetwise reporter who worked the nightbeat for the Chicago Star looking for human interest stories. He met an assortment of people, most of them with a problem, many of them scared, and sometimes he was able to help them, sometimes he wasn’t. It is generally regarded as a ‘quality’ show and it stands up extremely well. Frank Lovejoy (1914-1962) isn’t remembered today, but he was a powerful and believable actor with a strong delivery, and his portrayal of Randy Stone as tough guy with humanity was perfect. The scripts were excellent, given that they had to pack in a lot in a short time, and there was a good supporting cast, orchestra, and sound effects. ‘The Slasher’, broadcast on 10 November 1950, the last show of season one, has a very loosely Ripper-derived plot in which Stone searches for an artist. THIS EPISODE: March 3, 1951. NBC network. Sustaining. The first show of the season. A special salute to the members of the working press. "Big John McMasters", an ex-con prohibition gangster, is released from jail and is promptly shot. Reporter Randy Stone tries to help. Frank Lovejoy, William Conrad, Warren Lewis (producer, director), Frank Worth (music), John Michael Hayes (writer), E. Jack Neuman (writer). 29:12. Episode Notes From The Radio Gold Index. 3717 episodes available. A new episode about every 5 hours averaging 28 mins duration .